Samurai 7; Released In 2004 And Available on 7 Discs, 26 episodes. While it originally aired in 2004, I believe this series was not available in the states until 2010, dubbed that is. At lest I do hope so. I can’t begin to phantom the idea of going so long without know this series existed. Since I try keep things short, this is a must see, buy or rent just get your hands on all 7 discs. The current average on Netflix is 4.2 stars and I came close to rating it 4 stars, at lest half way thought the 7 discs. But that would have been a hastily score. In the beginning I was blown away by the quality of the artwork and animation. By the end the story/plot melted it all together. The voice acting is one of the best so far. I could go on about how much money they spent making this, but one can just read the wiki link. Truly a master piece on its own. I really cant compare it to any other series. Oh and by the way, 5 stars all the way. It’s possible to go over ever character in this story. Each person adds a level of dimension to the story, that’s for sure. In some cases I did find my self wishing they made a pre “Samurai 7” with everyone's background story. Maybe some histories, how each member ends up where they meet. But this could just ruin the whole series, I guess. Honestly it would be way to much reading and in my case to much typing to cover all the characters. So without extending this to much longer, how do you compare this epic story? It didn’t feel childish or with over the top comedy. It felt very mature, with out all the blood and gore. 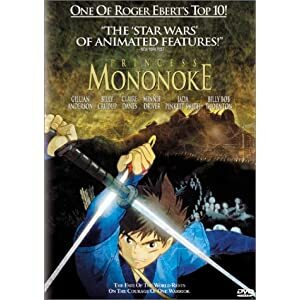 If you enjoyed “Princess Mononoke”, “Steamboy” , or “Ninja Scroll”. Then this series blends those epics and turns out a whole new epic of it’s own, with memorable characters and story line to boot.